Part of Greater Manchester, Stretford is a town within the borough of Trafford. With a population of around 37,500, there are some affordable properties in the area, especially considering how close it is to the centre of Manchester. At My Home Move Conveyancing we’ve been developing our knowledge of local markets like the one in Stretford since 2001, enabling us to bring our clients in the town an outstanding specialist, fixed fee conveyancing service. You’ll require the services of property lawyers if you want to buy or sell property in Stretford, in order to complete the legal work on your behalf. 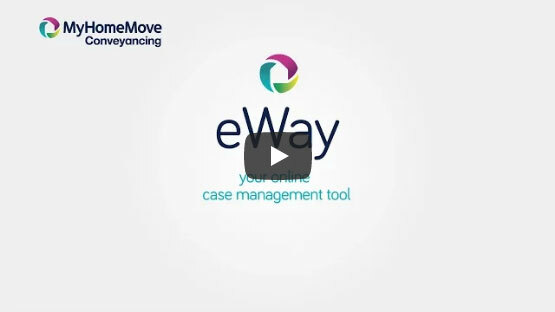 Select My Home Move Conveyancing to be your Stretford conveyancers and take advantage of our award winning customer service, innovative use of technology and knowledge of the local market. We offer a fixed fee conveyancing service with no hidden extra costs, so you can budget for exactly what you’re going to pay right from the start. If you don’t end up moving for some reason, you won’t have to pay us anything in legal fees thanks to our ‘no completion – no fee’ policy. Choose us for a market-leading, professional and passionate service. We assign a dedicated conveyancer to each of our clients, providing you with access to their expertise and a consistent point of contact. You’ll get clear, regular updates on the progress of your case, as well as 24 hours a day online access to your account. Because we get things right first time round at My Home Move Conveyancing, we deliver more annual completions than any other conveyancer. We’re delighted to supply our conveyancing services in Stretford to customers looking to be near the Metrolink station, around Victoria Park, or by one of the large open spaces like Stretford Meadows and Turn Moss Playing Fields with its access to Sale Water Park. The average house price in Trafford is £261,316, while the overall average sale price in Stretford during the last year was significantly lower than this at £183,722. Most sales in this period involved semi-detached properties, which went for an average of £212,959, while terraces fetched £167,484 and flats sold for £114,026. With a name derived from its location at a crossing point of the River Mersey, there’s evidence of human settlement in the Stretford area from as far back as 2000 BC. The Celtic Brigantes tribe held the area before and during the Roman occupation of Britain, while there were two manors taking up the land now called Stretford by the year 1212. The construction of the Manchester Ship Canal and the Industrial Revolution brought significant growth to the town, which is the home to Manchester United’s Old Trafford football ground. Just a few miles from the centre of Manchester, Stretford is linked to the city centre and other parts of Greater Manchester by the Metrolink tram system. It takes less than ten minutes to get to the city centre, while it’s around 15 minutes to Altrincham in South Manchester. Stretford is also conveniently located close to the M60 motorway, which is the ring road that loops around Manchester. When it’s time to go on holiday, Manchester Airport is only around seven miles away by car, a journey that can take less than 15 minutes in clear traffic. There are some highly rated schools in the local area if you’re looking to put your children through education, including St Ann’s RC Primary, Moss Park Primary and Chorlton CofE. Stretford Grammar is usually the highest achieving secondary school in the town, which also offers Stretford High and nearby schools like Lostock College, Sale Grammar and Urmston Grammar. All properties in Stretford will fall within one of the following council tax bands.